Benefit Compensation Group is an agency of financial service professionals who work with individual producers, individual clients, and business clients, promoting financial strategies that enhance wealth accumulation, wealth preservation, and ultimately, wealth distribution. Both services and products are used to assist clients in their specific areas of need. The Primary Goal at Benefit Compensation Group is to assist our clients in achieving their financial goals. It is our desire that our clients have opportunities to create, preserve, and efficiently distribute their wealth that they have worked their entire lives to accumulate. 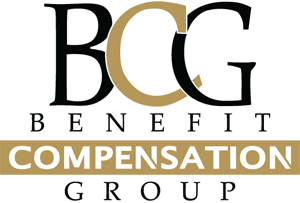 Benefit Compensation Group is a mature group of producers working together to accomplish their life goals and who share an ultimate desire to finish their careers well. BCG operates on a faith based value system, and provides an atmosphere of family and fellowship. BCG also provides back office support, sales training, product training, and motivation through a designed coaching process that brings a culmination of over 50 years of experience to the table. BCG offers our associates the assistance and ability to maximize their book of business by providing quality products and carriers for them and for their clients' benefit. BCG does not settle for mediocrity, but strives for excellence in every endeavor that it undertakes as a group. If you have any questions, need additional information, or assistance with illustrating any of these concepts, please call your BCG support team at 888-224-6340 or Email Us. "Jabez called on the God of Israel, saying, Oh that you would bless me indeed, and enlarge my border, and that your hand might be with me, and that you would keep me from evil, that it not be to my sorrow! God granted him that which he requested." Benefit Compensation Group is not an affiliate of OneAmerica Securities or the companies of OneAmerica and is not a broker dealer or Registered Investment Advisor. Benefit Compensation Group has representatives who are licensed and authorized to conduct life insurance business in AL, CO, FL, GA, KY, LA, MS, TN, TX, VA, WV. Benefit Compensation Group also has representatives who are licensed and authorized to conduct securities related business in AL, FL, GA, LA, MS, TX. This website is in no way to be construed as an offer for the sale of insurance or securities products in unauthorized states or countries. Provided content is for overview and informational purposes only and is not intended and should not be relied upon as individualized tax, legal, fiduciary, or investment advice. Neither OneAmerica Securities, the companies of OneAmerica, Benefit Compensation Group, nor their representatives provide tax or legal advice. For answers to specific questions and before making any decisions, please consult a qualified attorney or tax advisor. Benefit Compensation Group is not affiliated with or endorsed by the Social Security Administration, the Centers for Medicare & Medicaid Services or any other governmental agency.